A disorganised storage space is no use to anyone, as you won’t be able to find anything. The chances are you’ve decided to hire a storage unit to reduce the clutter in your home or business and get your valuable possessions and assets in order. If you need to access those items on a regular basis, you need to be able to reach them with ease. Disorganised units can be dangerous too, especially if you stack your boxes incorrectly or place furniture the wrong way up – if they fell, you could end up damaging yourself and your possessions. If you’re planning to rent a storage unit sometime soon and want to ensure it doesn’t just turn into a dumping ground, our guide will help. Before you enquire about storage units, it’s important to make a list of everything you want to store, as this will help you determine what size unit you need. You can use our size estimator or visit us in store and speak to a member of staff, who will be happy to help. If it later turns out that you require a smaller or larger space than the one initially recommended, we’ll change it straight away. It’s wise to make a rough map of your unit, so you can easily find everything you need. Put all the stuff you’re going to want to access on a regular basis at the front within easy reach. Larger furniture items and appliances should go at the back of your unit. Heavy items also need to be placed at the bottom of any stacks of boxes. Be sure to leave a path down the centre of your unit so you can get to everything easily. If you have any delicate items which must be placed a certain way up, such as a plasma screen TV, work this into your unit’s layout plan. Don’t just put your items in plain boxes and assume you’ll be able to work out what’s inside. Keep similar items together and label each box clearly. However, you don’t have to put all your books or all your kitchen items in the same box. Smaller boxes are generally better than larger ones, especially when the contents are going to be heavy. Otherwise you’ll end up breaking the box and its contents when you go to pick it up. 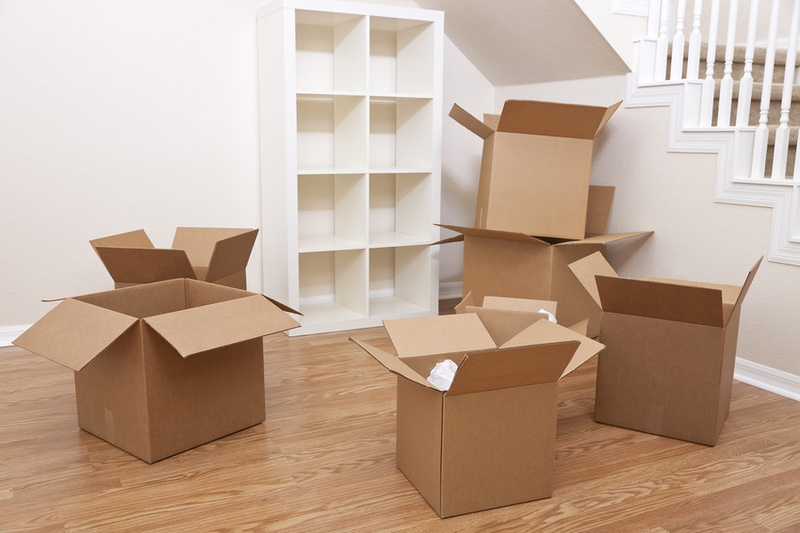 To protect your possessions, use plenty of packaging in your boxes, such as Bubble Wrap or foam peanuts. Titan Storage has a range of packaging products to purchase at our stores – perfect for if you run out during the packing process. At this point, it may be tempting to throw your map/layout plan out the window, but stick to it – you’ll thank us later! Fill your unit up from the back, making sure that every label on every box is clearly visible. If you do end up straying from your plan slightly, keep a note of any changes and update it accordingly. Once you’ve finished place your map in your storage unit, so that you can easily see it the next time you enter the unit. If you’re interested in renting one of our storage units get a quote today or give us a call on 0800 644 0018.